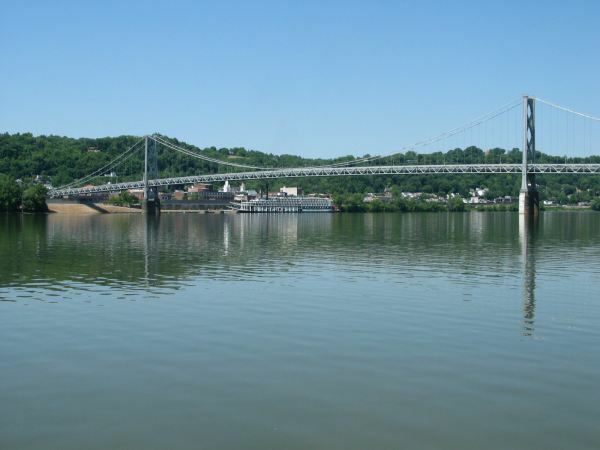 In the photo, above, the American Queen can be seen docking at Maysville's Limestone Landing, at the foot of the Simon Kenton Memorial Bridge. 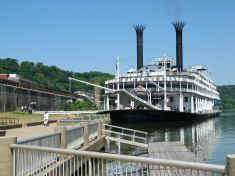 Several times a year Maysville serves as a stopping point for paddle wheelers including the American, Mississippi, and Delta Queens. More information about this majestic riverboat can be found HERE.